Aerospace manufacturing is one of the biggest and most competitive markets in the United States, supplying the markets of commercial airliners, space, military aircrafts, missiles and general aviation. In fact, the United States aerospace industry racked up a total of $144.1 Billion in export sales in 2015 alone. Plus, out of all of the industries in the United States, Aerospace manufacturing has the highest positive trade balance, with us exporting $82.5 Billion more than we import. Additionally, the United States boasts the strongest aerospace industry, attracting investors both foreign and domestic, providing a large amount of capital for rapid growth. Companies like Boeing, Lockheed Martin, and Airbus are perennial industry leaders (with annual revenues north of $85B, $75B, and $45B respectively) and there are even popular more names like Rolls Royce and General Electric in the top 10. With such stiff competition and high revenues, these companies have to make a lot of difficult decisions on the best way to spend their money, time, and space. Through the integration of modular construction into their facilities, they can expand the amount of usable area and optimize their workplace with short lead times and minimal downtime. As you can imagine, with the scope of the aerospace industry being so vast, the size, layout, and purpose of their manufacturing facilities vary greatly, depending on the company. And due to the complexity of today’s aircrafts, each vehicle is comprised of thousands of parts, large and small. Depending on the company, their manufacturing facility may be in charge of assembling full sized commercial airliners, or they could just make a small, yet important part of that plane. These larger facilities can be reach sizes over 4,000,000 square feet! 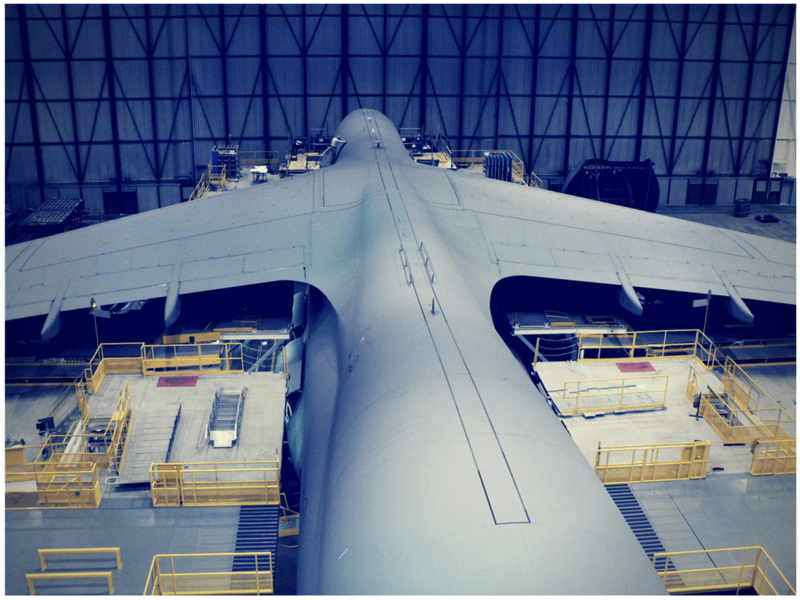 Although they are so massive, these facilities still need to be very specialized to successfully assemble their aircraft in the most efficient way possible. In some cases, the facility may need a work platform in order to install a series of parts. If the company decides to install a modular mezzanine system as their work platform, the structure will be able to be installed quickly and minimal downtime to the facility. Plus, the structure is not permanent, so the company can uninstall and reinstall the mezzanine at their convenience. In other instances, aerospace companies are manufacturing small precision parts. These instruments must be crafted extremely accurately to ensure the mechanism will function properly, requiring them to be identical down to the microscopic level. These circumstances require the parts to be factory-made in an environment called a clean room. A clean room is a controlled area that is free from dust and other contaminants, allowing for precision manufacturing. Using modular construction, a clean room can either be installed on site from our panelized wall systems and be ready to use in just a few days. And, similar to our mezzanine systems, these rooms can be disassembled or moved to another location whenever needed. For many aerospace companies, their large facility provides plenty of room for the manufacturing and assembly of their products, however as their company grows they run out of office space for their other personnel. Engineers, facility managers, and other supervisors typically require office space at least part of the time in order to complete their work. And more importantly, the area should provide a peaceful and comfortable environment, separate, but not far from the facility. This allows for the employees to concentrate on their work while enabling them to keep a close eye on their current project. Similar to its benefits on the manufacturing side, modular office systems can present a simple and efficient solution to office space needs. Utilizing our panelized wall systems, Panel Built can deliver an inplant office that specifically fits your facility’s exact needs. Panel Built has manufactured office systems for the top aerospace companies in the world, offering one, two and even three-story modular buildings. These inplant offices can range in size from less than 100 square feet to over 10,000 square feet. If your facility is particularly noisy, our wall partitions can be manufactured to increase the overall R-Value. Plus, we offer a one-hour fire rated wall panel that provides extra protection in facilities that incur an extra risk of fire due to flammable chemicals. In addition to office space, the modular buildings offer the perfect environment for break rooms, conference rooms, and shipping offices. Similarly to the mezzanine structures, one of the main benefits of our modular office systems are their minimal interruption in comparison to stick-built offices because the installation requires little to no facility downtime. 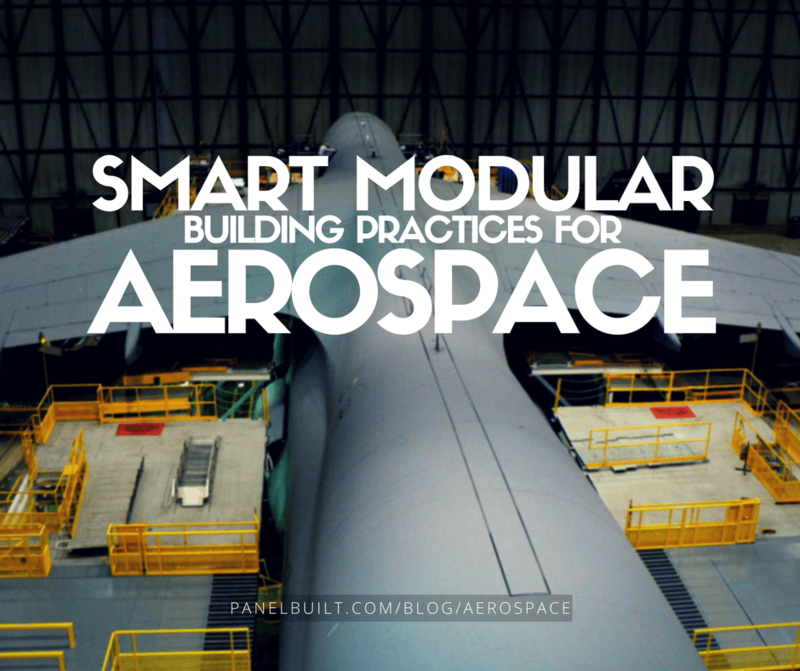 Overall, modular construction offers the aerospace industries a number of advantages over stick-built construction. For large facilities, our structural steel mezzanine systems can provide a giant work platform to assemble or service aircrafts. Plus, they can be used as catwalks to help employees avoid hazardous areas on the facility floor. The modular office systems can provide a workspace that perfectly fits the company’s needs. Whether big or small, one level or multi-level, sound proofing or fire rating, our offices are built custom-made for you. With no project too big or small, Panel Built is will to accept any project to help address your space needs. In the already vast aerospace industry, companies and corporations keep innovating and striving to become bigger, better, and more efficient. In this post, we look at how modular construction can help ease some of those growing pains.